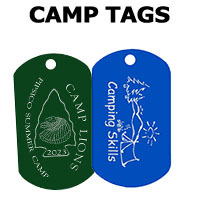 Fundraising has been made easy with our school mascot fundraiser. 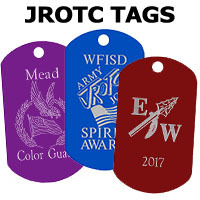 Get your school mascot engraved on a military style dog tag, design a reading tag for class incentive, make a team sports tag, or even a custom tag for your luggage. 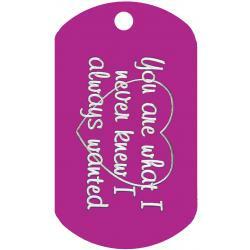 Create your own tag or a group of tags for fun gifts, ID tags, pet identifcation tags and more. 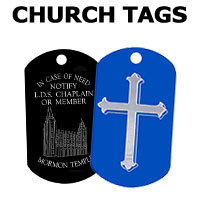 No minimum orders! 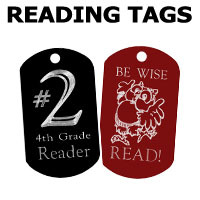 Hundreds of designs to choose from. 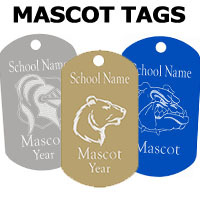 Show off your school spirit with one of our mascot tags. 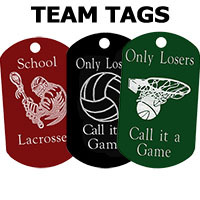 You can personalize each tag by adding your custom message on the backside of the tag.